The official posters for upcoming television series "Road No.1," starring Hallyu stars So Ji-sub and Kim Ha-neul, were unveiled today. The show's poster is in three different versions featuring each of its main characters; Jang-woo (played by So), Soo-yeon (played by Kim) and Tae-ho (played by Yoon Kye-sang). 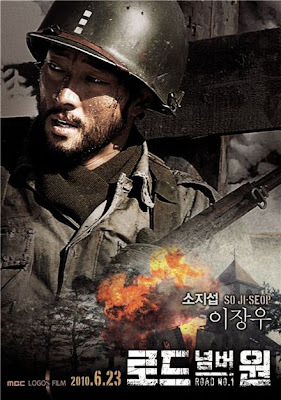 The war drama has been garnering much hype prior to its airing due to its blockbuster scale and star-studded cast, led by So who is making his comeback to the small screen since last year's "Cain and Abel" (SBS). Actress Kim Ha-neul portrays a strong-willed doctor in the series, who sacrifices her love for So's character to provide for her family. 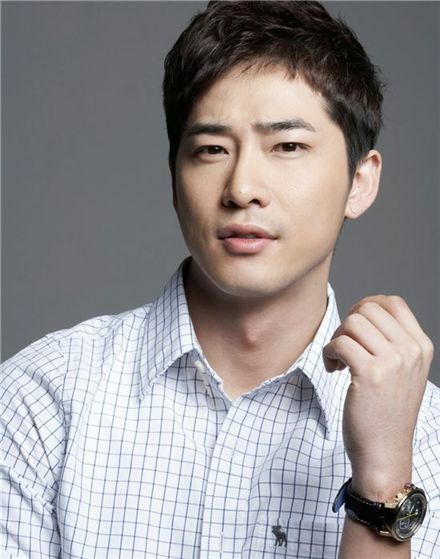 Yoon Kye-sang, a former member of boy band G.O.D. 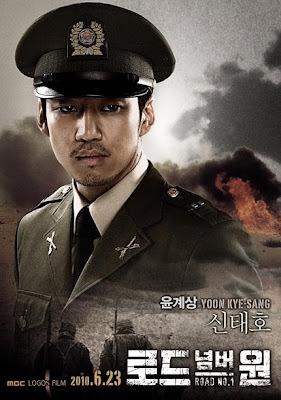 who has crossed over to acting, plays an elite military officer named Tae-ho. His character falls in love with Kim's character only to be turned away when her first love, played by So, comes back alive from the war. "Road", produced on a whopping KRW 13 billion won budget, is an epic drama set during the Korean War. It is set to premiere in Korea on June 23. Korean actress E Ji-ah has joined the main cast of upcoming action TV series "Athena," the sequel to last year's hit blockbuster drama "Iris," according to the show's producer Taewon Entertainment on Thursday. "E will be playing the role of Han Jae-hui, a special agent under the European branch of the national anti-terror services," explained a producer with Taewon. He went onto explain that she was chosen as one of the lead female characters even though she is new to the entertainment industry because she showed great strength and charisma with her previous roles in MBC's "The Story of the First King's Four Gods" and "Beethoven Virus." 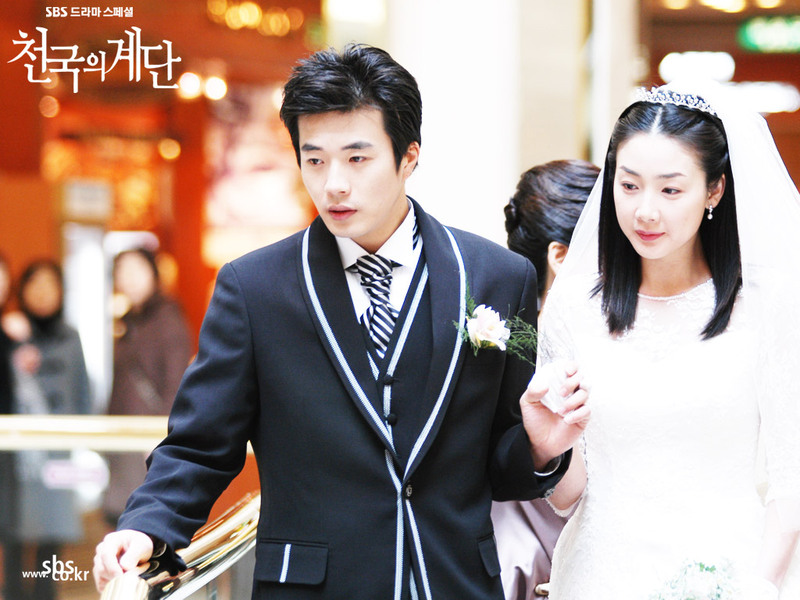 E, 29, made her debut in the 2007 historical epic "Four Gods" as Suzini, the love interest of Hallyu star Bae Yong-jun. She also appeared in the big screen with "My Love, Ugly Duckling" alongside actor Kang Ji-hwan. Micky Yoochun to star in TV series "Sungkyunkwan Scandal"
Micky Yoochun of Korean idol group TVXQ has been set to star in an upcoming television series tentatively titled "Sungkyunkwan Scandal," according to the show's promoter YTREE MEDIA on Wednesday. YTREE announced in a press release that the pop idol has been cast in the historical drama, set in the Chosun Dynasty, to play a Confucian scholar named Lee Seon-joon who falls in love with a woman in disguise as a man. "I had so much fun reading the synopsis," the singer-turned-actor was quoted as saying. "It is an honor to play such an attractive character for my first acting role." The singer expressed his ambitions for his solo acting debut, saying "I am actually very excited and nervous too because this is my first drama. I am going to learn a lot of things, work hard and do my best in acting." The historical drama, based on a best-selling novel by Korean writer Jeong Eun-kwol, will go into shoot early next month and air later during the year. 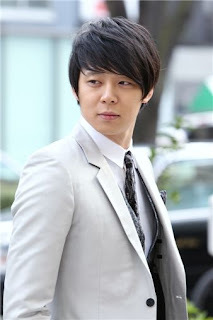 Micky Yoochun, whose real name is Park Yoochun, debuted in 2004 as part of five-member boy band TVXQ. The group became one of the most phenomenal K-pop acts in the country and throughout Asia, selling numerous records and recently making history in the Japanese music scene. TVXQ has been making headlines this week for announcing over the weekend that they will no longer be working in Japan as a group and that the members will go their separate ways to pursue individual careers. The band had officially quit working as a group in Korea last July due to a legal dispute between three of its members -- Xiah Junsu, Hero Jaejoong and Micky Yoochun -- and talent agency SM Entertainment over their 13-year exclusive contract. Micky had previously appeared in several television shows including "Banjun Theater", "Vacation" and popular sitcom "Nonstop - Season 6" (MBC, 2006). Actor Kang Ji-hwan to star in new SBS drama "Page 1"
Korean actor Kang Ji-hwan has been tapped to play the male lead role in upcoming SBS drama "Page 1," according to the drama producer's Core Contents Media on Friday. "Kang was chosen because he did an impressive job in the movies 'My Girlfriend Is An Agent' and 'Rough Cut,'" Core Contents CEO Kim Kwang-soo was quoted as saying in a press release. "We also determined that the recent controversy regarding Kang and his former agency is not an issue," Kim explained, addressing an ongoing legal spat between the two parties over the actor's working contract. This will mark Kang's comeback to the small screen for the first time in two years, where he will play the role of Lee Jin-soo, a writer who rose to stardom at an early age because of his bestsellers. Actress Park Si-yeon will also appear in the drama, playing the role of a publication house CEO who Jin-soo is in an undefinable relationship with. "Page 1" will be helmed by director Pyo Min-su, whose other works include hit series "Full House" and "The World That They Live In." "Page 1" will go into shoot beginning early April and is set to premiere after current Monday and Tuesday drama "Oh! My Lady" ends its run. Kang, who debuted in 2001 through the Korean version of the musical of "The Rocky Horror Show," has appeared in several TV dramas including "Be Strong, Geum-soon!" "Scandal in Old Seoul" and "Hong Gil-dong, the Hero." He shot to stardom in Korea and throughout several countries in Asia after starring in "My Girlfriend is an Agent" alongside actress Kim Ha-neul.